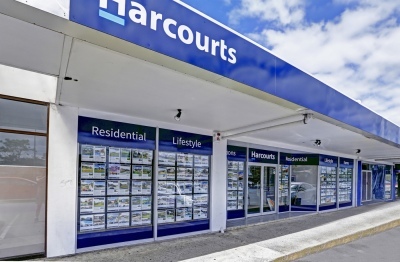 Harcourts' sales in the upper North Island were well down in February compared to a year ago, but sales in the rest of the country were up. The biggest decline was in the agency's upper and central North Island sales district which includes the Waikato and Bay of Plenty where sales were down 12.6% on a year ago, followed by Auckland where sales were down 6.5% on February last year. Sales were more buoyant in the rest of the country, led by the Wellington region where February's sales were up 7.0% on a year earlier, followed by Christchurch +6.3% and the rest of the South Island (excluding Christchurch) +2.0%. Overall, Harcourts sold 1784 residential properties in February, which was down 2.9% compared to February last year. There was an even bigger drop in new listings which were down 10.3% in February compared to February last year, while the total inventory of properties on Harcourts books was down 7.0% compared to a year ago. That suggests two things; that March may also be relatively quiet in terms of the number of sales made compared to a year ago, while the decline in inventory suggests that even with the drop in sales numbers, there is no sign of a glut in unsold properties developing. That is probably one reason why average prices held up reasonably well in February. Nationally, Harcourts' average price increased from $568,391 in January to $598,970 in February, although that figure made up for recent price weakness and the agency's national average price is now only 2.4% higher than it was a year ago. Even in Auckland, where a variety of indicators suggest the housing market is weakest, Harcourt's inventory in February was down 11.7% compared to the same month a year ago, while the average selling price increased from $840,825 in January to $906,944 in February and ended up 1.6% higher than it was a year ago. Wellington also had a substantial price gain, with the average selling price increasing from $523,099 in January to $567,875 in February, putting it up a whopping 26.5% compared to year ago. Christchurch went against the trend, with the average price dropping from $564,876 in January to $540,459 in February, putting it down 2.8% compared to a year ago. There will be on-going fluctuations in auction clearance rates and in average/median house selling prices but, overall, the message is abundantly clear: NZ’s housing market remains steady/stable. Unless your property is priced above the million mark, you can forget it mate. Property is only selling if it's affordable and realistically priced. Remember you buyers are now a local market for people mostly on NZ salaries. I think i'll wait for the REINZ monthly figures before jumping to any conclusions. HPI is a far better indicator that anything else out there. I think even the property bulls here will be a little surprised by these results. I just don't get the Wellington hype train. It has such a poor stock of houses (damp, mouldy, out dated). What's the appeal to justify the price? Agree. At my old flat at Devon Street, we used to have water fall feature built in the bedroom. ... problems with the plumbing ... or an old guy in the flat above with serious incontinence issues ? There’s been a lot of regentrification gone on in Wellington for many years now. Plenty of houses in better/popular suburbs like Brooklyn, Island Bay & Kelburn have been done up - and are pretty high standard now. Any house reasonably close to the city fetches big money because there’s a huge demand for rental accommodation - especially with 3 universities (Victoria, Massey & Otago) operating near the CBD. Out of control expansion in government spending and civil service headcount, as usual under Labour. Those civil servants need houses. Actually, we've had contractors that had good times under National (headcount limits) knocking on our door asking for full time work at half the money they were making on contract. Gravy train's not as good as it was. This is the peak of the selling season - if not now, when? Let's see what winter brings, and if the loopy proposed Capital Gains Tax spooks the market. Trends go up and down. It's the long term trend that matters. wow, looks like harcourts is loosing market share??? sales as well as inventory down..
while inventory is up with most other agencies..
My thoughts exactly. They've been pretty quiet in Tauranga this year & was wondering about their market share. The tron for sale listings on trademe is running at 30% increase from 2018 and a massive 58% up from 2017.....and we have a truckload of new builds in the pipeline. Big correction looms and building company collapses can't be far away. The new suburbs here are crawling with half built boxes.